DADS Ultimate Buffet is perhaps one of the few restaurants in the Philippines that offer authentic Filipino, American, and Japanese cooking. Most of the time, restaurants that offer a variety of cuisines don’t succeed because they fail to produce signature dishes that will make the restaurant well-known. However, DADS Ultimate Buffet has been in operation since the 90s and its wide variety of scrumptious, novel dishes are still being appreciated by the people and professional food journalists alike. 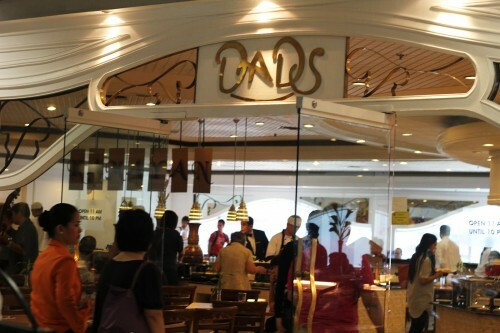 To the uninitiated, DADS Ultimate Buffet is a fusion of 3 of the best restaurants in Manila. It serves Filipino, American, and Japanese dishes. With its great-tasting food, more than 200 dishes to choose from, and a price that’s not unreasonable for an eat-all-you-can scenario, DADS Ultimate Buffet is every connoisseur’s escape to a world of flavors.